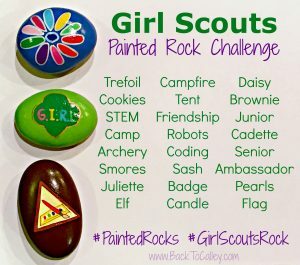 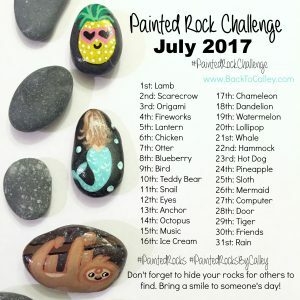 Welcome to the home of the Original Painted Rock Challenges! 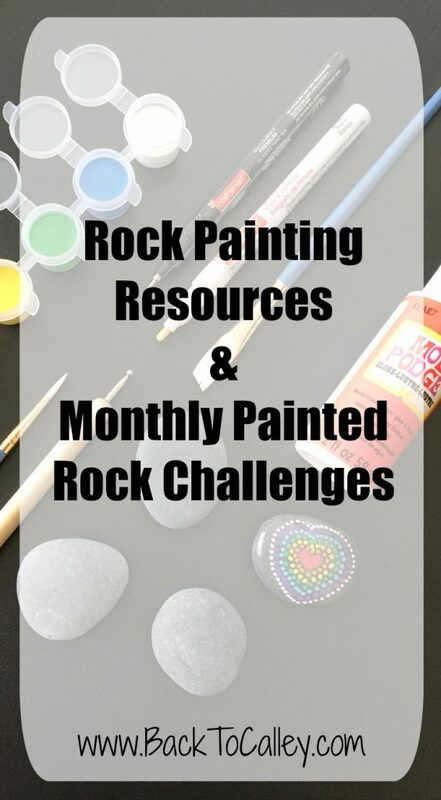 These challenges are monthly themes or ideas that help inspire crafters, rock painters, and families all around the world. 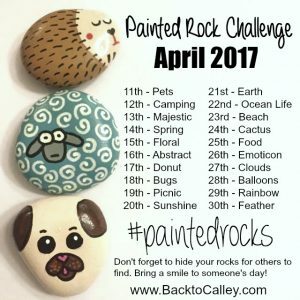 The Painted Rock Challenges started in April 2017 when I first began painting on rocks. The local painted rock community was booming and rockers were actively hiding rocks around town for others to find. 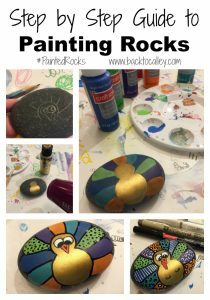 Painting on rocks is nothing new, it’s been a popular media for hundreds (probably thousands) of years. 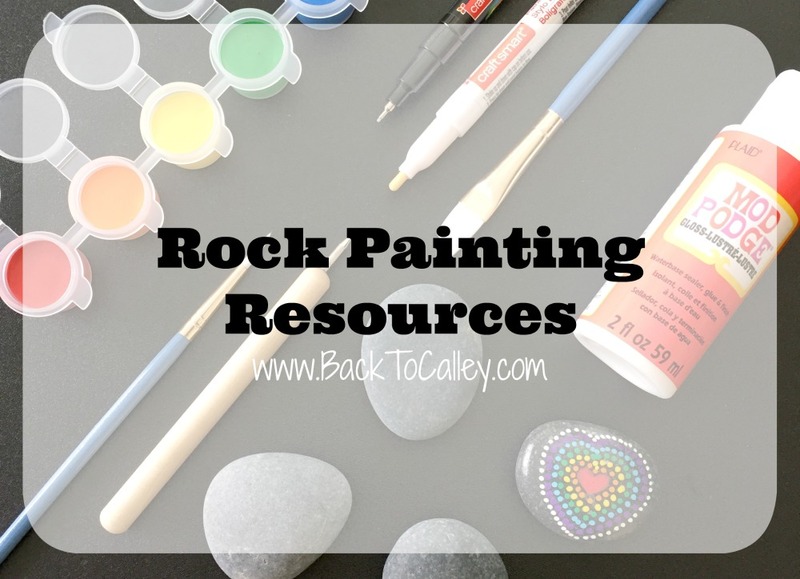 The current surge of painting of rocks has been around for 1-2 years and continues to grow. 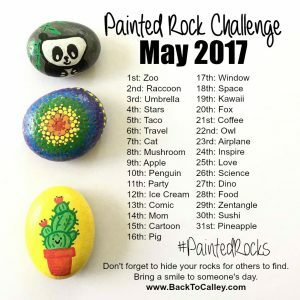 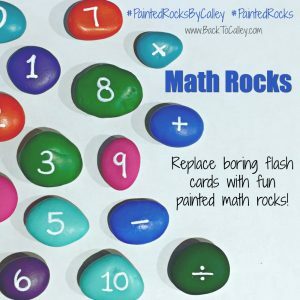 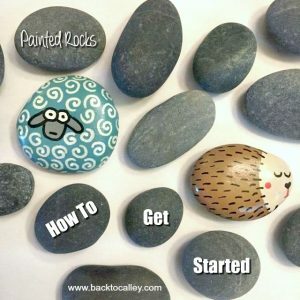 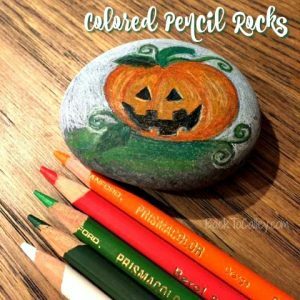 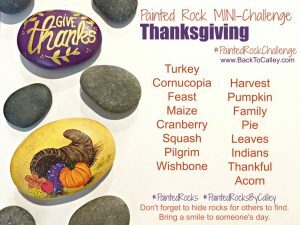 This page was created to help locate some of my older painted rock posts and monthly painted rock challenges. 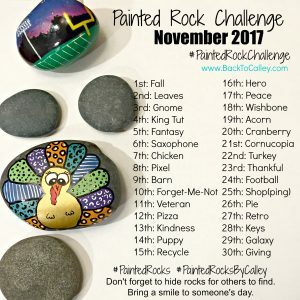 I have each challenge dated with the month and year they were created for; but please feel free to paint along at any time. 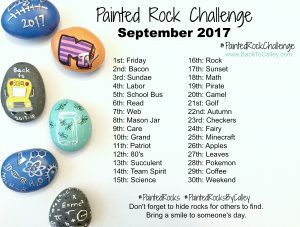 There are no rules in these challenges as long as you have fun! 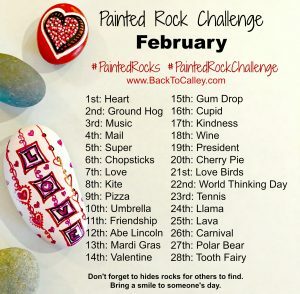 Some challenge themes are easy, others are a little more challenging. 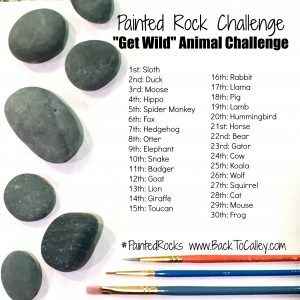 The idea was to push my own artistic limits a little further than my own comfort level. 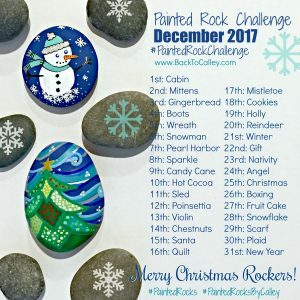 New for 2018-19. 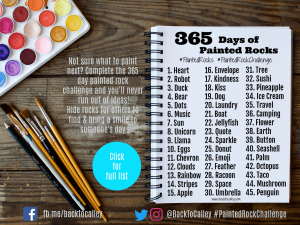 Instead of the traditional “monthly” challenges I’ve decided to create a 365 days printable checklist of fun themes and ideas to keep your inspiration going. 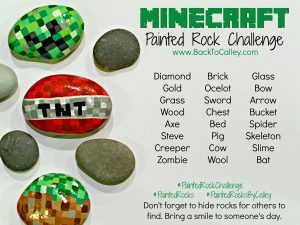 There’s no set day or order you need to complete these rocks. Paint them all in one day or paint one a day for the year! 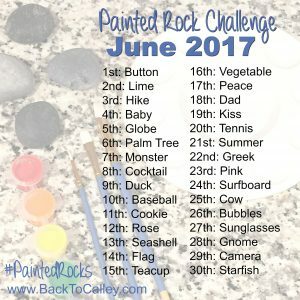 It’s all up to you! 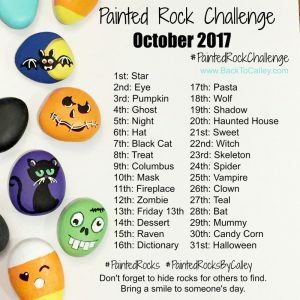 Please note that even though I’m not currently updating NEW monthly challenges these challenges can be used in any year or month! 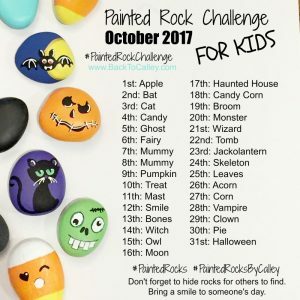 Additional themed challenges may still be added but the traditional “monthly” challenges are not being created at this time. 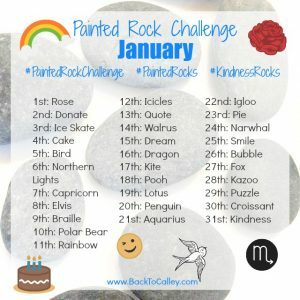 Click the images below to access the previous monthly challenges.